In 2017, the Hawaii Life Charitable Fund (HLCF) donated to support the efforts of several non-profit organizations based in Hawaii. The Hawaii HomeOwnership Center (HHOC) was one of five local charity organizations to receive $2,500 from the HLCF's Hawai‘i Love grant program. HHOC assists first-time homebuyers to overcome barriers to homeownership by providing coaching and resources. The grant supported the work that HHOC accomplishes statewide, including outreach efforts and providing direct services to aspiring homeowners. Our partners at the Hawai‘i Community Foundation (HCF) recently spoke with Reina Miyamoto of the Hawaii HomeOwnership Center about the impact of the funding provided by the HLCF's Hawaii Love grant program. Reina described her organization's mission and shared the stories of Vickie Punua-McGinnis, a new homeowner helped into a home of her own by HHOC. Hawaii Community Foundation: What’s your organization’s mission? Please provide some specifics about the work you do. Reina Miyamoto of Hawaii HomeOwnership Center: The Hawaii HomeOwnership Center provides education, information, and support to create successful first-time homeowners in Hawaii. By addressing barriers and increasing rates of home ownership, the HomeOwnership Center aims to build stronger families and communities throughout the state of Hawaii. Hawaii HomeOwnership Center provides classes and confidential homeownership coaching to prepare buyers for the purchase process. Coaching topics can include addressing barriers to mortgage readiness, referrals to buyer assistance programs, and any concerns about buying a home. Our lifetime membership allows our members to utilize our services as much as they need or want assistance. In addition to the classes and coaching, we also provide supplemental pre-purchase workshops, as well as post-purchase services. We believe that sustaining homeownership is just as important as becoming an owner. HCF: Can you share a story about someone who was impacted positively by your organization’s work? 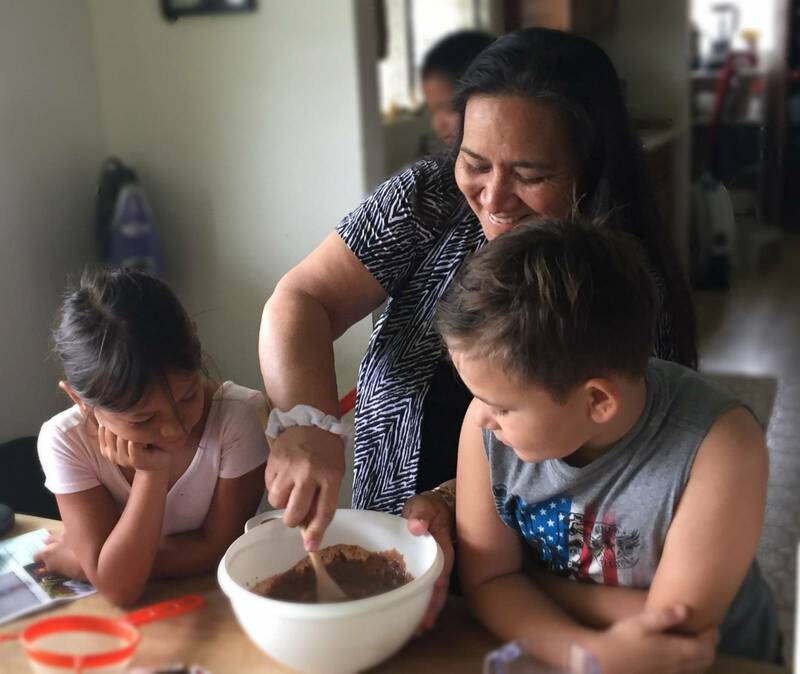 Reina at HHOC:When I arrived to videotape a testimony interview at the home of one of our recent owners, Vickie Punua-McGinnis, I was greeted at the door by her grandson Izayah with a puakenikeni flower and a smile. 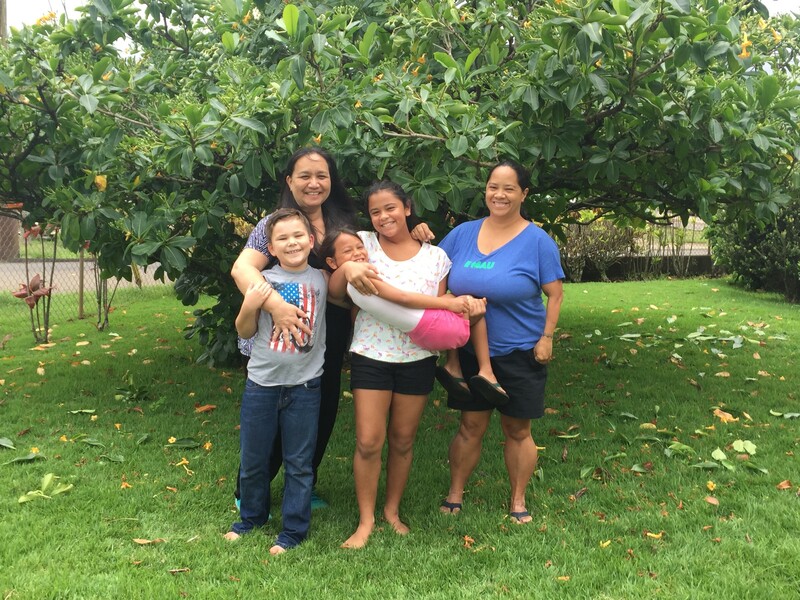 Vickie joined the Hawaii HomeOwnership Center’s program 13 years ago as a single mom of two teenagers. While she could have moved forward to buy a home at that time, she had other priorities and decided to put her dream on hold for a while. Over the years she continued to persevere and keep her dream of being a homeowner alive, checking in with her homeownership coach periodically to stay on track with her financial goals and managing her money and credit according to what she learned in the homebuyer education course. The classes and coaching sessions helped to provide the tools and encouragement she needed to stay focused on her long-term goal and this year Vickie moved into the home that was in her family for generations and says that she feels she has been entrusted with a family legacy and gift. It’s no longer grandma and grandpa’s home or mom and dad’s home – it’s her home. Vickie is the guardian of her 8-year-old grandson, Izayah and described a lot of their life as being in chaos until recently. During the testimony interview, Izayah made his way over to us and I asked him what he liked best about living in their new home and he replied,"I can live here forever with grandma!" The significant takeaway from that comment will stay with me forever - even an 8-year-old understands the value of a safe and stable home. The special loft bed with a slide and an area he has set up like a fort below is one of many memories and opportunities for growth that will happen in this home. Whether it's staying in the same school, not having to move, or having a home-base to call their own, all of these things contribute to thriving families. Parents can focus and be productive at work, children can develop skills with teachers that understand them and be surrounded with friends they have made over the years, and families can truly become part of a community. I know Vickie and Izayah will be a living testament to these statements and look forward to the positive growth that will happen in their future. Reina at HHOC: We deeply appreciate your partnership to make the difference in the lives of Hawaii families. A safe and stable home transforms lives. While most funders often equate statistics to the success of a program, we would like you to know that every individual and family your gift supported can envision a better future thanks to you. The impact on the individual does have a ripple effect on the larger community – not only are healthy habits, individual success and school achievement seen in the families with stable home situations, communities are safer through committed and involved residents and the economy is positively affected through homeownership too. Thank you for your trust and investment in the Hawaii HomeOwnership Center. (HCLF) at the Hawai‘i Community Foundation supports local charities that are aligned with our mission of working to preserve Hawai‘i’s beauty and culture by supporting its people. All Hawai‘i Life agent, client and public donations to HCLF are directed with care to make the greatest possible impact in the community. Each year, Hawaii Life agents and brokers determine an annual giving focus for the HLCF, and grants are awarded to Hawaii non-profits whose charitable purposes fall within this focus, and whose mission is aligned with our own. In 2018, Hawaii Life agents chose Caring For Our Keiki as a focus for the fund, and awarded grants in June to local charities that serve Hawaii's children. Our giving focus in 2017 was to create and provide affordable housing for all Hawai‘i residents.